How iboothme gave ASUS the perfect engagement via perfect RFID management. Are you hosting a huge event? Do you need an integrated database management solution? Well, you are in the right place. At iboothme, we have developed an RFID management solution to ensure you always stay on top of your game. Sounds too good to be true? Read on. 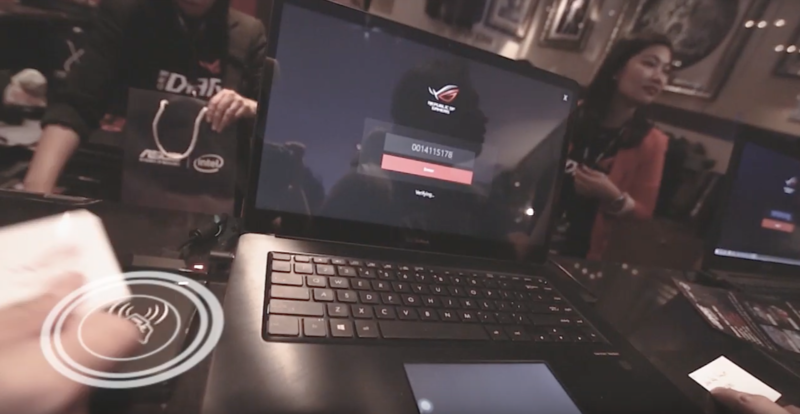 ASUS wanted to showcase the functions of its brand new computer. It also wanted to collect a huge database of potential prospects. Not surprisingly, the think-tank at iboothme came to the rescue. Our powerful RFID Management solution was an absolute hit. Each user was given a card to register their details. This card then gave them unique access to activities where they could collect points with just a simple scan. Users could also scan the card to redeem points for a chance to win big prizes. So despite the huge scale of the event, we managed to keep every user totally engaged right through the event. Every digital brand marketer loves great engagement. Which is why, we designed our RFID management tool to tick all the right boxes. Our RFID card doesn’t just fit in your palm. It fits in your overall plan too. In fact, if you are running a huge event, this tool is nothing short of your trump card. Trust us. At iboothme, we customise every RFID management card with your branding. After all, why miss an opportunity to spread the word? Our seamless technology focuses on generating leads efficiently. It helps you collect data and gives you a unique opportunity to target your customers with your message whenever you want to. We not only collect a database of priceless leads but also offer you a unique advantage of the live data analysis. Now you can track your event’s progress, understand the behavior of your customers and innovative with agility. Our RFID management solution is your one-stop-shop. After scanning the card, the user has the flexibility to explore more of the event. However, the control still stays in your hands. See how our RFID management system worked wonders for ASUS. Watch the video here. DO YOU NEED RFID MANAGEMENT AT YOUR NEXT EVENT? TALK TO US. You are only a step away from the next big solution. At iboothme.com, we are ready to make your event buzz-worthy. Get in touch now. How to create the buzz during your activations?